Toyota Pakistan is considered among one of the top automotive brands in Pakistan. This automotive company is recognized among its consumers for manufacturing sedans and SUVs which are fully equipped with innovative features and specs. In Pakistan, many people prefer to buy Toyota Indus sedans and SUVs due to their availability at competitive prices. Toyota cars price in Pakistan is reasonable as compared to other brand sedans and SUVs available in the automotive industry. Just like 2018, the company is also going to launch a vast variety of sedans and SUVs in 2019 for their valued consumers in Pakistan. Here in this blog, I will be discussing the top 5 best Toyota Pakistan cars which you need to buy in 2019. This blog is going to be ideal for the consumers who are planning to buy sedans or SUVs by this automotive brand in 2019. 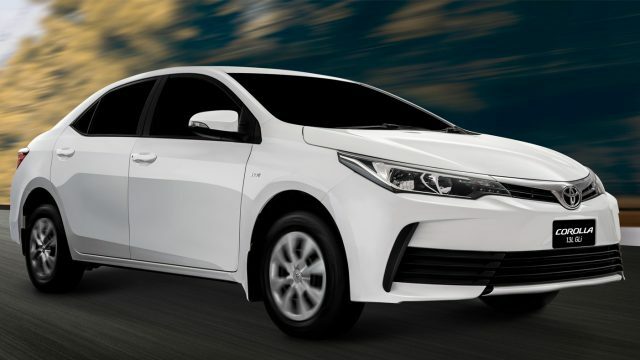 Toyota Corolla XLI 2019 price in Pakistan is not officially announced by the officials, but as per the rumors by its fans regarding Toyota Corolla XLI price is that it will start from Rs.19,40,000 to Rs.20,20,000 depending on the variant you prefer to buy of this sedan by Toyota Pakistan. This sedan is going to be available in two variants which are manual and automatic. XLI 2019 is going to be a front engine front four-wheel drive subcompact sedan which will be featuring a standard sedan design language. The exterior of 2019 Toyota Corolla XLI is going to be featuring an innovative and modern design. At the front of this sedan, you get to see a pair of sleek sharp side swept headlights, trapezium air intake and a massive grille with a chrome accent. At the rear, you get to see a pair of sharp sleek side-swept taillights, a chrome trim piece running the length of the trunk and a massive rear bumper. The overall exterior of this sedan will be featuring a unique design language which will help it to stand on top among all other sedans available in the industry. 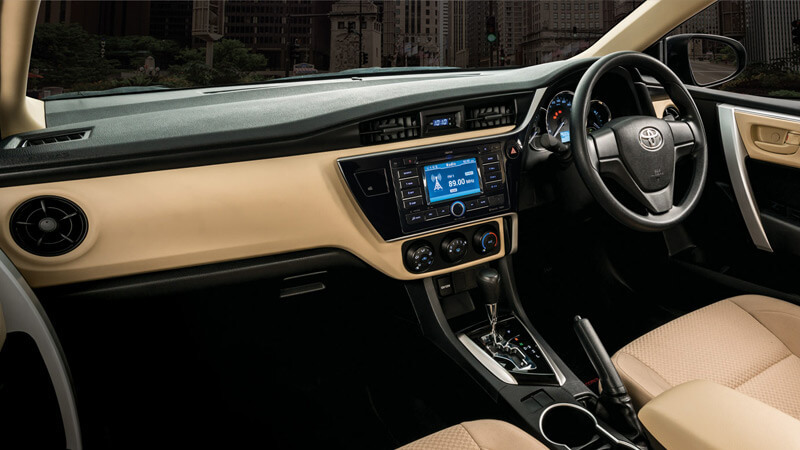 The interior of XLI variant of Toyota Corolla will be featuring beige and black plastic trim pieces. The rear and front seats of this sedan are covered with ivory color fabric. 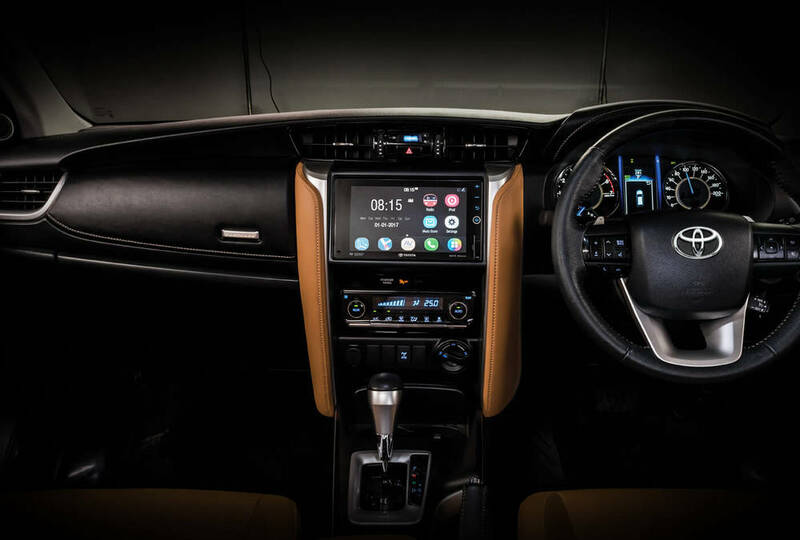 The standard interior features which will be available in this sedan include air conditioning, power steering, standard infotainment system, and tachometer. The overall interior of this sedan is spacious as compared to other subcompact design sedan of different brands. This sedan is going to be powered with 1.3-liter 16-Valve DOHC VVT-I engine which is mated to five-speed manual or 4-speed Super ECT automatic transmission. This engine has the capability to produce 85bhp at 6000rpm. This sedan has the capability to give a fuel economy of 12-14kmpl. 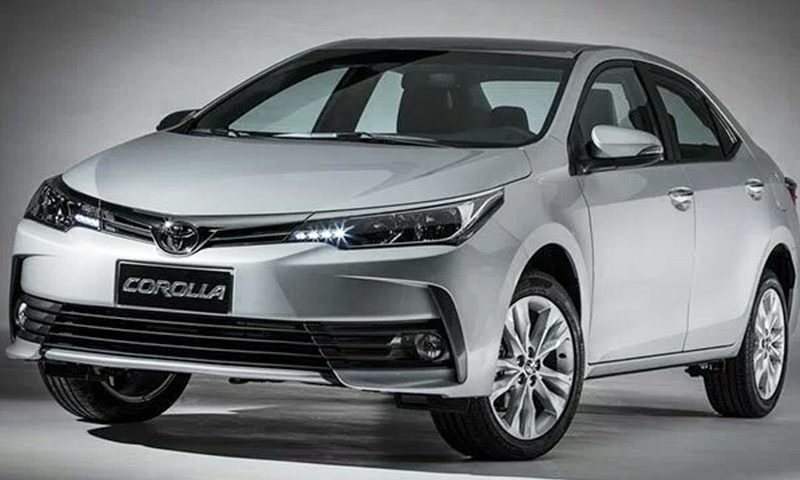 Toyota Corolla GLI 2019 price in Pakistan is not officially confirmed by the Indus Toyota officials. Though, there are expectations made by its fans regarding Toyota Corolla GLI price is that it will start from Rs.21,50,000 to Rs.22,20,000. The price of 2019 Corolla GLI can differ as per the variant you prefer to buy. Like XLI 2019, Toyota Corolla GLI is also going to be coming in two variants manual and automatic. Toyota GLI 2019 exterior is going to be quite like its predecessor XLI. The front end of this subcompact design sedan will be featuring sleek narrow side swept headlights, a chrome grille, massive bumper, trapezium air intake and a big grille with a chrome accent. At the rear of this sedan, you get to see sharp sleek side-swept taillights, a chrome piece running the length of the trunk and sporty rear bumper. The overall exterior of this subcompact design sedan is unique and innovative, just like any other brand sedan available in the industry. 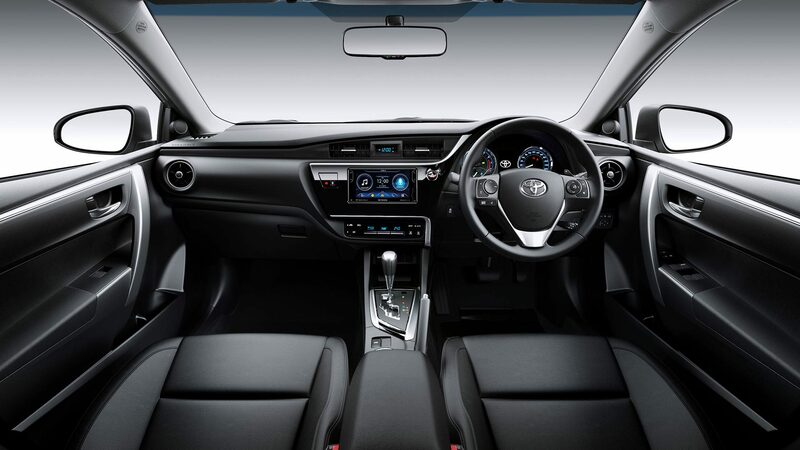 Toyota Corolla GLI 2019 interior will be featuring black and beige plastic trim pieces which make its interior look more appealing and attractive. The rear and front seats of this sedan are going to be covered with ivory fabric. The standard interior features which are going to be seen in this sedan include power steering, power windows, standard infotainment system, tachometer, and air conditioning. The overall interior of this sedan is spacious as compared to its rival brand sedans available in the market. When we talk about the upcoming Toyota Corolla GLI engine specs, you will see that it is going to be equipped with 1.3-liter DOHC VVT-I 16 Valve engine which is going to be mated with 5-speed manual transmission or 4-speed Super ECT automatic transmission. This engine will be giving a fuel economy of 12-14kmpl. Toyota Altis 2019 price in Pakistan is yet to be confirmed for the consumers in this country by the company officials, but as per the rumors in the industry regarding Toyota Altis price is expected to start from Rs.23,70,000 to Rs.28,00,000 which is reasonable as compared to other brand sedans available in the automotive industry with similar specs and features. Toyota Corolla Altis 2019 exterior is going to feature a modern and premium design language which will help it to rank on top of all other brand sedans available in the market. The front end of this sedan will comprise of sleek and sharp side swept projection headlamps with DRLs, trapezium air intake, sporty bumper and a large grille with chrome accent. The rear end of this sedan features sleek side-swept taillights, chrome piece running the length of the trunk and a massive sporty look rear bumper. The overall exterior of this sedan will be giving this sedan an aggressive and appealing look. 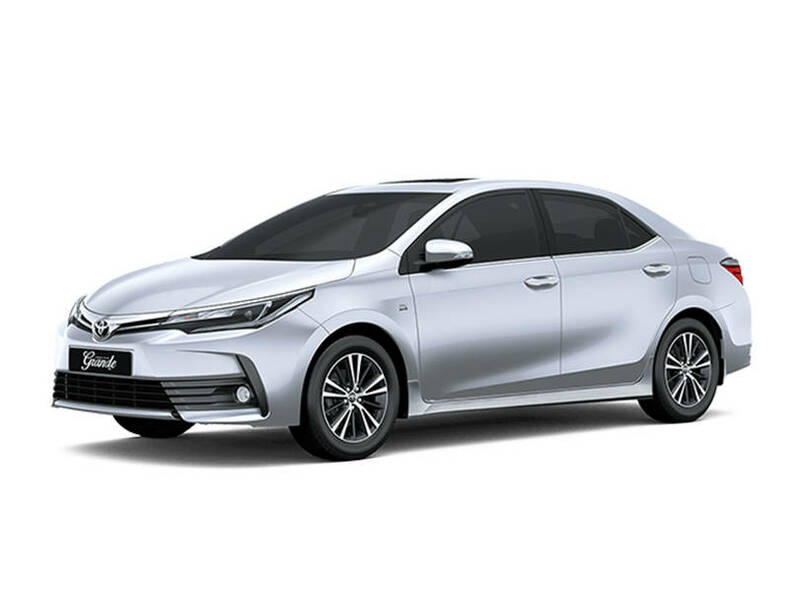 Altis Corolla 2019 interior will be featuring beige and black color plastic trim pieces just like its other variants. The front and rear seats of this sedan are covered with ivory fabric. The interior standard features include power steering, power windows, air conditioning, leather upholstery, multifunction steering wheel switches, two airbags, satellite navigation, 7-inch touchscreen infotainment system, front and rear camera, paddle shift and sunroof. The overall interior is going to be spacious as compared to other brand sedans interior space. Toyota Altis 2019 is going to be available in two engine variants which include 1.6-liter DOHC 16 Valve Dual VVT-I and 1.8-liter DOHC 16 Valve Dual VVT-I engines. The 1.6-liter engine has the capability to produce 120bhp and 1.8-liter engine will produce 140bhp at 6000rpm. Both the engines are going to be mated with 4-speed super ECT automatic transmission, 6-speed manual or CVT-I automatic transmission. The 1.6-liter engine will have the capability to give the fuel economy of 10-12kmpl while 1.8-liter can give 9-11kmpl. 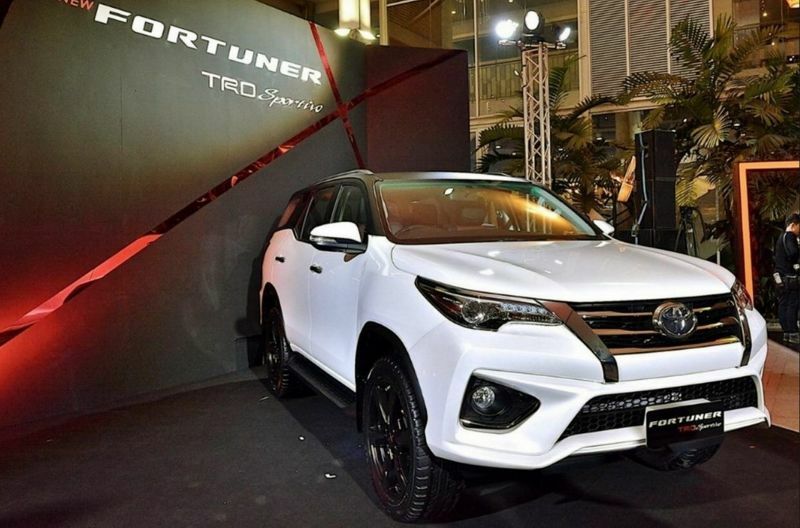 Toyota Fortuner 2019 price in Pakistan is not announced yet by the Indus Toyota officials, but as per the expectations regarding this upcoming Toyota Fortuner price is expected to start from Rs.60,99,000 to Rs.64,49,000. The price of this SUV varies as per the variant you prefer to buy in 2019 after its official launch. This SUV is going to be available in two variants which include Toyota Fortuner 2.7 VVT-I and Toyota Fortuner 2.8 Sigma 4. 2019 Toyota Fortuner exterior is going to be aesthetically revamped which will surely be loved by the SUV fans of Indus Toyota. The headlamps of this SUV will be featuring LED lights which add extravagant beauty to this SUV. The rear lights of this SUV are going to be pretty much like the latest LX570 which are aggressive and stretched. This latest SUV is going to be a 7-seater with hydraulic trunk and bonnet. Both the front and rear bumpers of this SUV are massive and sporty. The front sporty bumper will be equipped with standard circular shaped fog lamps. The exterior of this SUV is also expected to be featuring power back door and silver sidestep. The rear bumper is also equipped with lights. The interior of this SUV will be featuring better curves and edges. Fortuner 2019 is going to be passenger friendly with ample amount of interior space. The standard interior features which are going to be seen in this upcoming SUV by Toyota include 7-inch infotainment screen, rear AC vents, paddle shifts, all-terrain performance switch, cool box, cruise control, smart entry with panic button, LED room lamp, illuminated controls, smart driving modes, push start button, emergency brake signal, vehicle stability control and multiple cooling stations. The overall interior of this upcoming model SUV is spacious and practical as compared to other brands SUVs. This SUV is expected to give a fuel economy of 10-12kmpl. It will be available in two engine options which include 2.7-liter petrol and 2.8-liter diesel engines. Both the engines are going to be mated with a 6-speed automatic transmission. 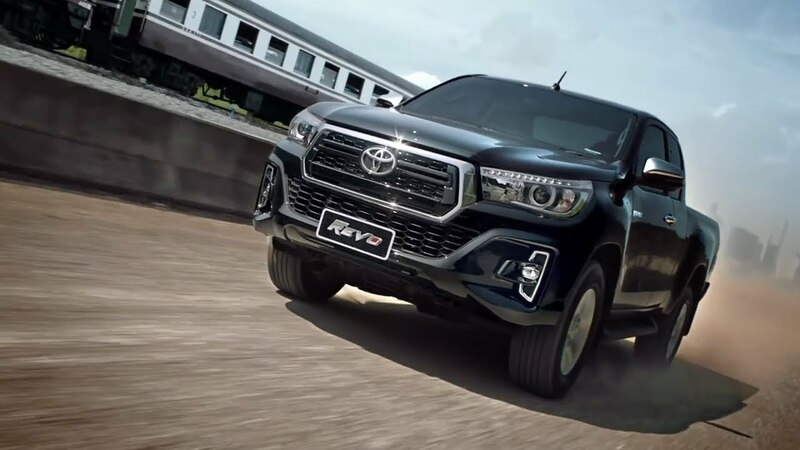 Toyota Revo 2019 price in Pakistan is not officially announced by the Toyota company, but as per fan-made rumors in the automotive industry regarding Toyota Hilux Revo price is that it will start from Rs.24,24,000 to Rs. 51,49,000 depending on the variant you prefer to buy in 2019. The variants of this automobile will be divided into double and single cabin cars. All the variants of this car will have the capability to give extravagant performance both on off-road and on-road. Toyota Revo 2019 exterior is inspired by the basic guidelines of Keen Look design language, which makes its overall look aggressive and attractive. The exterior will be featuring newly curved wheel arches and upgraded front fascia that gives it a muscular and massive look. The front end will be featuring LED-equipped headlights. The front bumper of this pickup is also going to be upgraded as per its previous generation model. 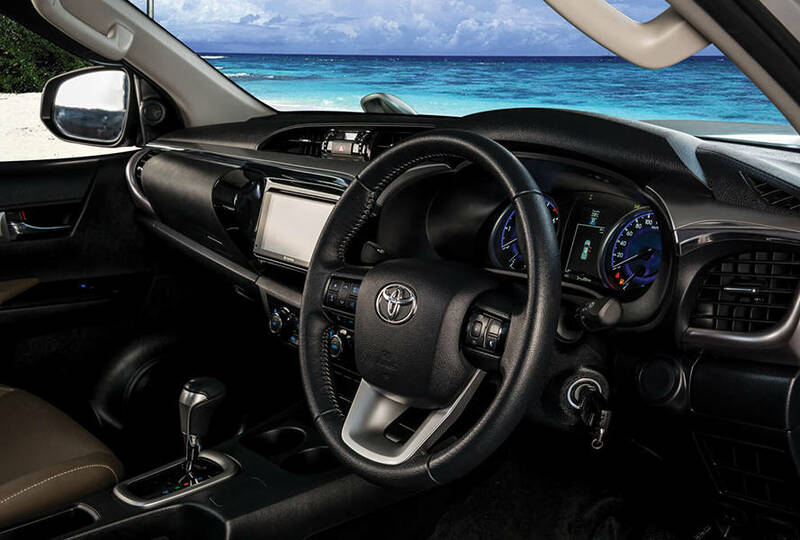 The interior of 2019 Toyota Revo is going to be simple and minimalistic and have the capability to cater to all sorts of needs. The company has tried to give the interior of this pick up a modern and innovative look. The interior features include push start button, touchscreen infotainment system, power windows, power steering, cooler box, cruise control, voice recognition system, leather upholstery, trip computer, and telescopically adjustable steering wheel. The 2019 Toyota Revo is going to available in a number of engine options which include 2.0-liter, 2.4-liter, 2.5-liter, 2.7-liter, 2.8-liter, 3.0-liter diesel engines, and 4.0-liter V6 petrol engine. All the engines are going to be mated with 6-speed manual or 6-speed sequential automatic transmission. It will have the capability to give a fuel economy of 8-12kmopl.